Water Heater Services provided by The Water Store allow you to get quick, accurate plumbing help with your plumbing problems. Our highly trained plumbers have the industry acumen to get your plumbing problems fixed the first time, every time. From well pumps, well tanks, iron filters, water softeners, water heaters to garbage disposals and water laterals, our plumbers are skilled in the installation and repair of all major appliances and fixtures. Our no trip charge policy means you only pay for the repair or installation of your appliances by a licensed plumber. 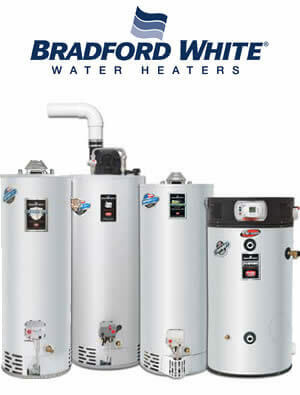 The Water Store also offers and recommends numerous appliances and plumbing products. These energy-saving, top of the line appliances will save you valuable time and money. ► Aluminum anode has stainless steel core, protects tank against corrosion longer than ordinary mild steel anodes.